If you like wine, an afternoon spent exploring the alcoholic delights of Vinopolis is an ideal pursuit. This self-guided tour allows visitors to find out about the history and culture, but most importantly the TASTE, of wine at their own pace. 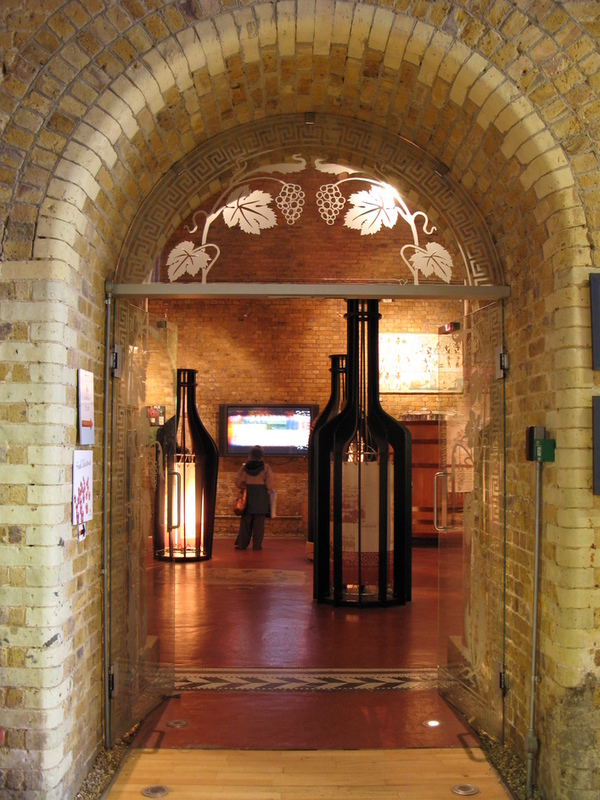 Using audio-guides, films and themed exhibitions, guests travel around the globe savouring the different types of wine from the worlds most famous grape producing regions, finding out why they differ from region to region. Tasting tables set up along the route, which is in a maze of 22 interconnecting railway-support arches, offer a variety of different tipples there's even the opportunity to down some Absinthe. Whisky and beer lovers are also catered for in their Still Room and Brew Wharf. This two-and-a-half acre venue, built on ancient Roman foundations, is nestled under a series of spectacular Victorian arches on London's South Bank sandwiched in between a host of great attractions including the Globe Theatre, Borough Market, the Tate Modern and Southwark Cathedral. A highly-regarded restaurant and laid-back bar are both on site if you prefer to just stay and sample some more. A range of different packages are available - the very basic package offers a minimum of five tasting tokens, a cocktail and a free corkscrew. Great value and great fun, this tour comes highly recommended. If you're planning on going on a Saturday, it's best to pre-book as they do get notoriously busy. Vinopolis The entrance into the exhibition and wine-tasting area. Vinopolis clubs, bars, cabaret nights, casinos and interesting nightlife. What are the best dining options near Vinopolis London? Vinopolis gyms, sporting activities, health & beauty and fitness. The best pubs near London Vinopolis. Where to have your meeting, conference, exhibition, private dining or training course near Vinopolis. From cheap budget places to stay to luxury 5 star suites see our special offers for Vinopolis hotels, including Holiday Inn Express London Southwark from 76% off.